The modern fighting force is required to face new and complex combat scenarios including urban warfare and peace-keeping missions, as well as low-intensity and asymmetric conflicts. Force protection is a prerequisite for mission success, irrespective of the complexities of the situation. These missions bring new threats to infantry and mechanized forces. 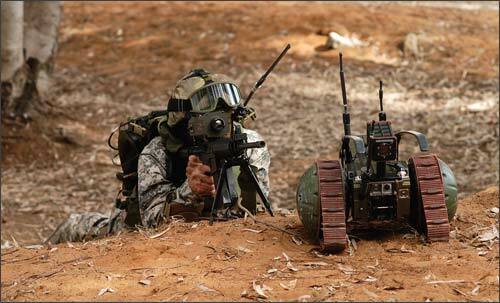 Responding to these risks, Elbit Systems offers a full array of innovative solutions for detecting, reacting, countering and eliminating threats. These solutions are field-proven and are designed for a variety of missions. They provide forces with enhanced situational awareness while enabling them to see, understand, act and respond decisively. Crucially, the interoperable systems offer comprehensive capabilities to all branches of the modern military force, facilitating integrated and optimum reactions to the prevailing threat scenario. The table below lists a sampling of Elbit Systems’ force protection offering for the various branches of the fighting force. The dismounted soldier faces a wide variety of threats. Urban warfare and low-intensity conflicts have introduced additional risks including small arms fire, IEDs and attacks from rocket-propelled grenades. Maximizing situational awareness is vital in providing force protection for the dismounted soldier. Elbit offers a range of light-weight adaptable systems that are ideally suited for frontline forces in even the most complex operational scenarios. Essentially, these systems expand and enhance the dismounted soldier’s field-of-view, thereby enabling informed decisions in real-time. MARS is a next-generation thermal imager that operates using un-cooled sensor technology. With advanced target acquisition capabilities, MARS is ideally suited for Special Forces and frontline infantry. 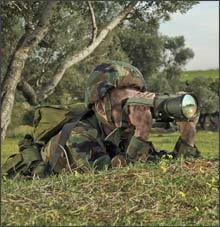 CORAL, is a light-weight 3-5 µm thermal imaging binocular camera, for infantry, border defence and security forces. In addition, it is highly effective as a night sight for target acquisition systems, ground laser designators and weapon systems. Both MARS and CORAL include features such as GPS, compass and laser rangefinders. Complementing unmanned vehicles, the V-RAMBO and SL-RAMBO receive and display real-time video imagery from aerial, ground and naval sources. With a receiver that is only the size of a small PDA and wrist-wearable monitors, the devices radically shorten the sensor-to-shooter loop by displaying live video to combat forces. The analog-based V-RAMBO is designed to display real-time data from larger UAVs, while the exceptionally small digital SL-RAMBO combines the powerful characteristics of the classic RAMBO, receiving and displaying imagery and data gathered by mini-UAVs. The VIPeR™ robot extends field-of-view both behind corners and in narrow spaces. Portable and highly mobile, VIPeR™ is configurable for multiple types of missions by add-on sensors, modules and payloads. Its compact controls are mounted on the soldier’s gear. Elbit Systems’ solutions for main battle tanks (MBTs) and armoured fighting vehicles (AFVs) enhance situational awareness without exposing the crew. Furthermore, with no deck penetration, the hardware preserves existing armour protection while retaining maximum space within the vehicle. Combined, these systems enhance the crew’s observation, fighting, protection, and command and control capabilities, and are used by numerous armed forces worldwide. See-Through-Armour (STA) is a revolutionary, panoramic observation system, enabling operators to understand and experience their environment from a single image. Using algorithms that electronically sew together imagery collected by video cameras installed around the vehicle, the STA provides a seamless 360° real-time panoramic view. Elbit Systems’ Unmanned Turrets (UT) and Overhead Remote Control Weapon Stations (ORCWS) offer combat-proven firepower for armoured personnel carriers. The systems are fully overhead without compromising troop safety and encompass a broad range of weapon systems, countermeasures and advanced electro-optics. Elbit Systems’ Laser Warning Systems (LWS) provide personnel with accurate warnings to support effective and timely responses to laser and radar-guided threats. Specifically, LWS helps detect, categorize and pinpoint laser sources such as rangefinders, designators, beam riders, infrared illuminators and trainers. Providing 360° threat coverage with high-detection probability and low false-alarm rates, the warning systems integrate with a full array of countermeasures. Elisra’s Electronic Jamming Anti Bomb (EJAB) provides protection from remotely activated explosive devices, and can be easily adapted for various operational scenarios. Forming an inter-vehicle operating network, the Weapon Integrated Battle Management System (WIN BMS) enhances command, control, communication and coordination amongst vehicles. Field-proven and easy to operate, WIN BMS supports all operational needs including direct fire engagement, troop- manoeuvring, indirect fire support, intelligence and logistics. Low visibility landings as well as laser-guided and heat-seeking missiles pose a significant threat to utility and attack helicopters. 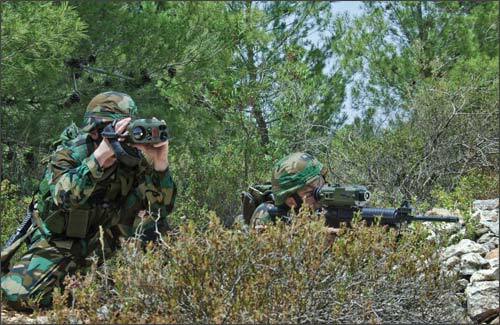 Elbit Systems’ advanced solutions not only help avoid such common threats, but also provide mission management, operation synchronization, and identification of friendly forces. Low visibility landings are a hazard that helicopter crews routinely face, particularly in desert conditions. Identification of obstacles in the landing zone is achieved by Elbit Systems’ advanced DUST-OFF system, which uses superior mapping capabilities to scan the landing zone. DUST-OFF fuses real-time digital terrain data into real-time synthetic imagery of the landing zone which is superimposed with the relevant obstacles. By using DUST-OFF, helicopter pilots manage to maintain situational awareness and avoid obstacles during low-visibility flights and adverse landing conditions. Protection from laser-guided and heat-seeking missiles is critical for helicopters in battle. MUSIC® (Multi Spectral Infrared Countermeasure) integrates a number of cutting-edge technological components into a compact, lightweight, highly-reliable system that provides an effective solution for countering surface-to-air heat-seeking missiles. Elisra’s PAWS uses advanced sensors to analyse incoming IR signatures and warn pilots of direction, type and time-to-impact of incoming threats. The system can automatically activate countermeasures. HeliC3om™ is an advanced command, control, communication and mission management system. It provides the air crew with real-time situational awareness and the capability of sharing mission-critical data with all battlefield participants. Aided by long endurance, high survivability, autonomous capabilities and the ability to carry a variety of payloads, unmanned systems provide critical situational awareness without exposing personnel. 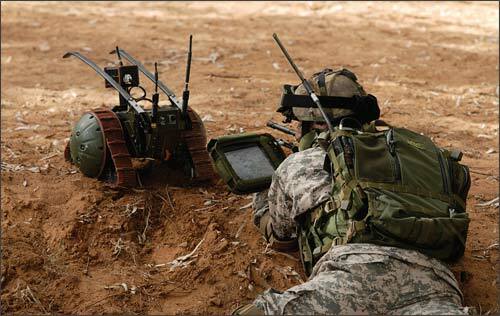 Elbit Systems’ range of unmanned aerial vehicles (UAV), unmanned ground vehicles (UGV) and unmanned surface vessels (USV) fulfil a wide range of force protection roles in anti-terror warfare, mine-detection, rescue efforts and reconnaissance missions. 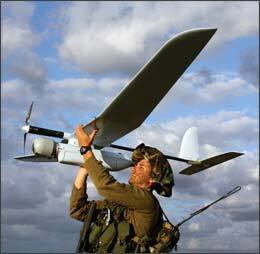 Elbit Systems offers a range of UAVs including the Skylark® II and the Hermes® 90. The Skylark® II is a covert, tactical, all-weather UAV system providing real-time intelligence, surveillance and reconnaissance at ranges exceeding 60 kilometres. The system uses an easily-deployable single vehicle equipped with an integrated launcher for point launch and recovery including an advanced ground control station. The Skylark® II is fully-operational with a two-person crew. The larger Hermes® 90 UAV features high survivability and long endurance, along with recovery on non-prepared surfaces and varied payload integration capabilities. Compact, easy to deploy, and designed with advanced autonomous capabilities, the Hermes® 90 is particularly suited for support of manoeuvring ground forces. 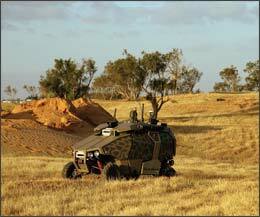 The Guardium by G-Nius, is a highly manoeuvrable UGV, ideally suited for off-road, rough-terrain environments. Capable of extended, continuous and autonomous operation, and replete with a modular selection of payloads, the system can be effectively utilized for a variety of force protection and homeland security applications. Silver Marlin – a medium-size USV– carries a wide range of payloads and features autonomous obstacle-avoidance capabilities. Proficient in rough conditions and at high speeds, the Silver Marlin is well-suited for force protection, anti-terror, mine warfare and search and rescue missions.